The circle glows in the center of the square. It is a concavity, carved out from the plane, although it appears as a globe that floats in front of the plane. It registers in three ways: as a disc, as a cave, and as a globe. 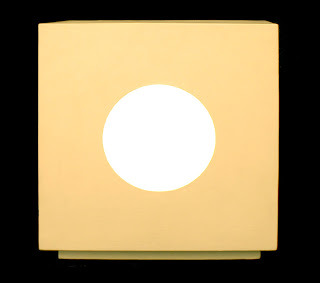 This lamp was designed for Casa Periquet.